I snagged this recipe out of People magazine a couple weeks ago. 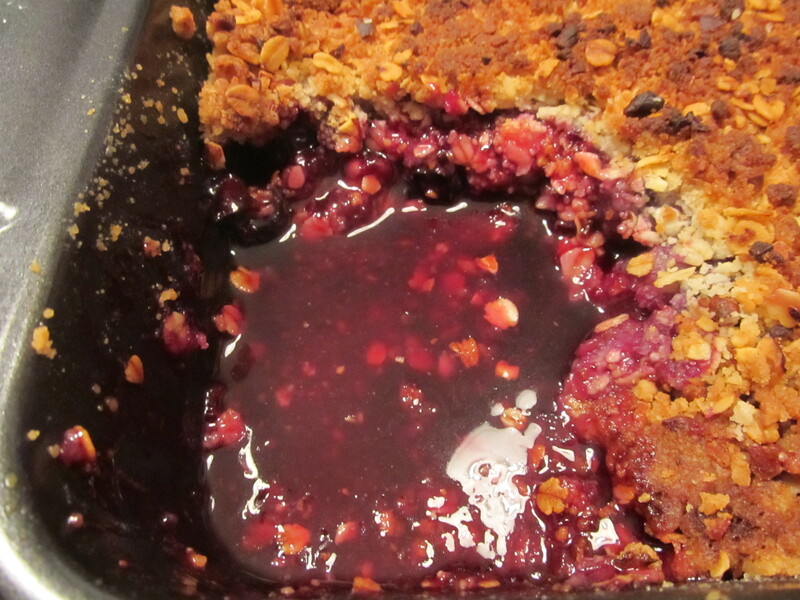 It looks simple and fresh – and it’s “berry time” of the year right now!! 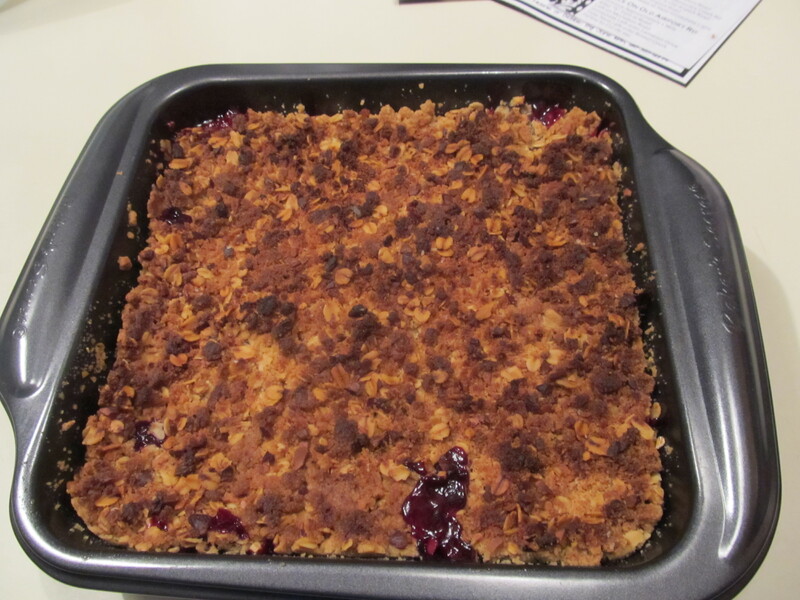 This happens to be a Martha Stewart recipe…..she does EVERYTHING so well. And this recipe does not disappoint. All of the ingredients come together so quickly and effortlessly. I believe it took me about 10 minutes to throw this together. Does this look amazing or what? I think my favorite part is the topping. 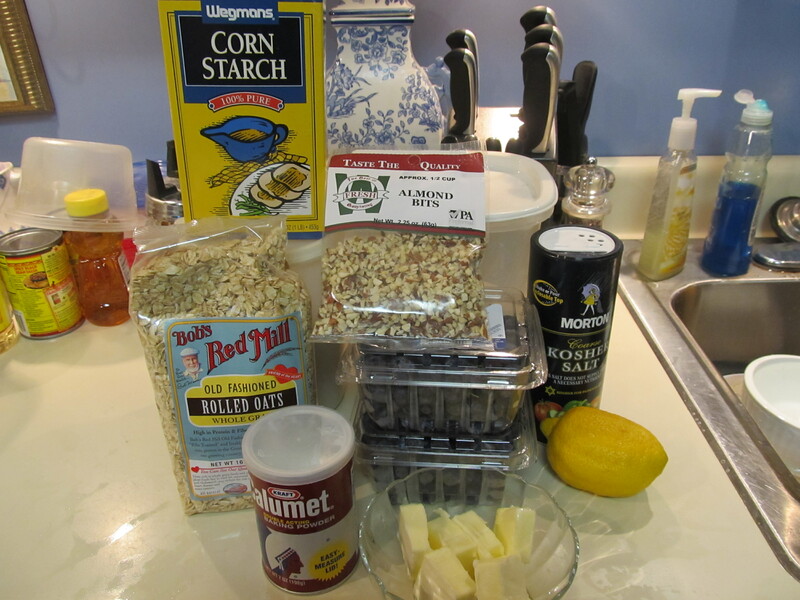 Be sure to use the NON-INSTANT rolled oats. It makes a huge difference. And I believe if you dont, it will not turn out right. Preheat the oven to 375°. 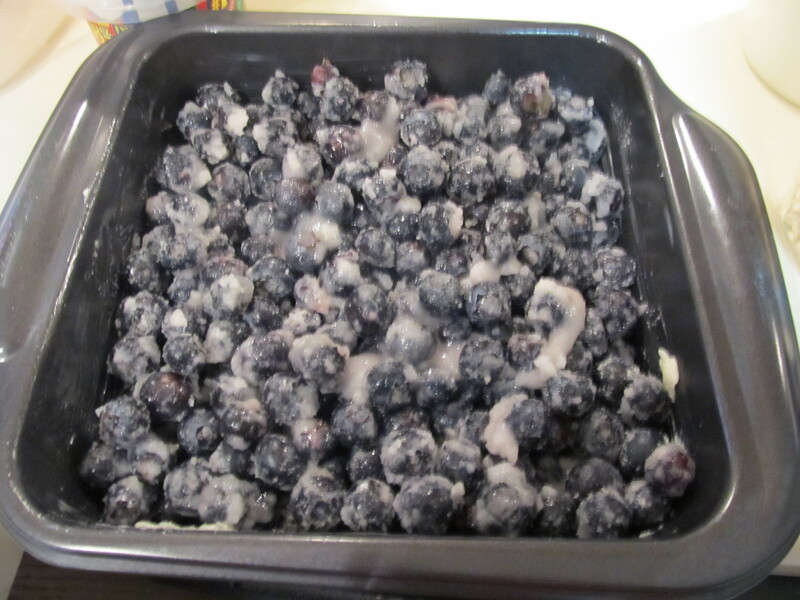 Make the filling: Mix blueberries, sugar, cornstarch, lemon juice, and salt in a bowl. 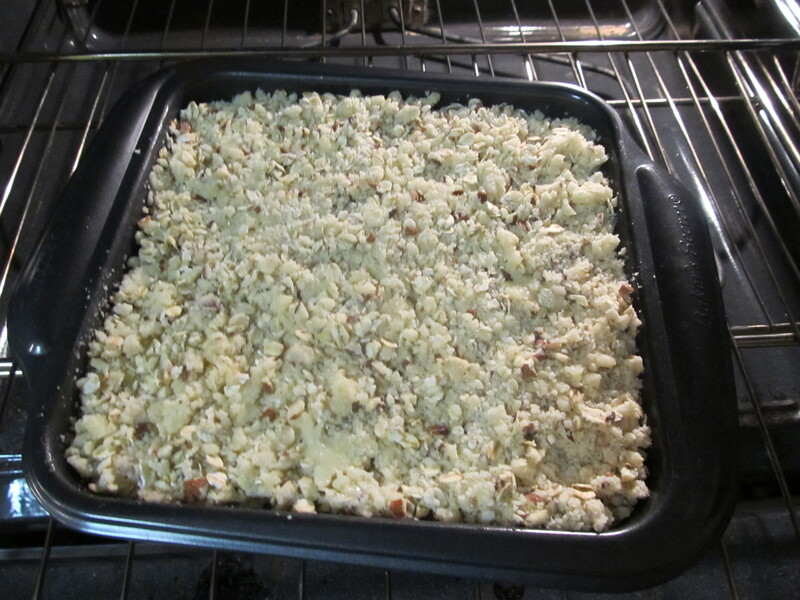 Transfer to an 8-inch square baking dish. 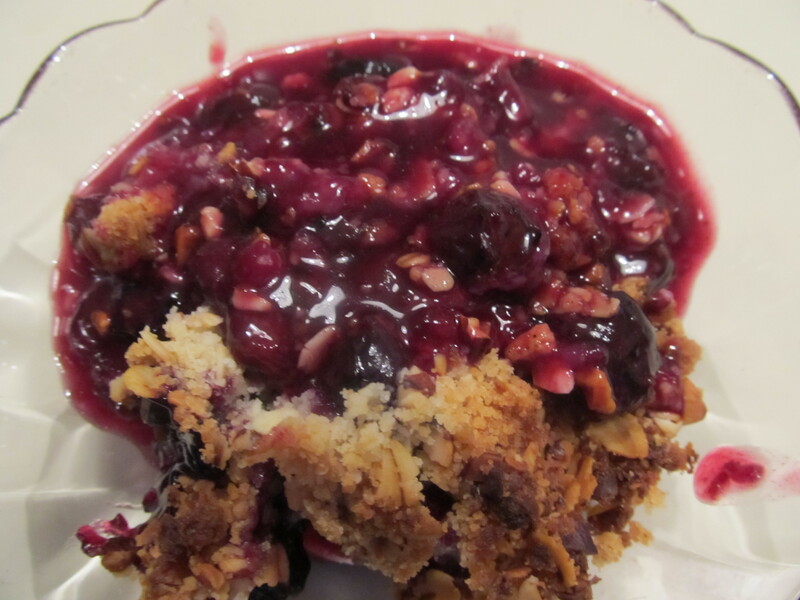 Make the topping: In a medium bowl, stir together flour, oats, nuts, baking powder, and salt. With an electric mixer on medium speed, cream butter and sugar until light and fluffy. Stir flour mixture into butter mixture. Using your hands, squeeze topping pieces together to form clumps.